The perfect boredom buster for risk-taking teens! A program designed specifically for thrill-seeking teens. Includes rock climbing, parkour, partner aerials, tumble track, big tramp and a full flying trapeze class including catches! Teen programs run on Wednesdays and Thursdays. 9am – 9.20am: Check-in for 9.30am holiday programs. 9.30am – 12pm: circus skills morning session with 15min break for morning tea. 12pm – 12:30pm: Break for lunch – pre order lunch or check the CA Cafe Menu. 2pm – 4.30pm: circus skills afternoon session with 15min break for afternoon tea. 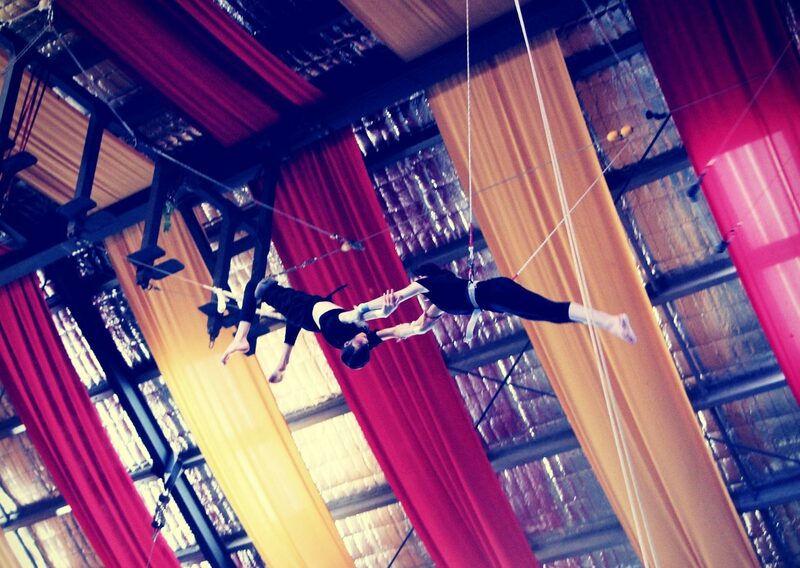 4.30pm – 6pm: Flying Trapeze class. 9.30am – 4.30pm, includes a full 1.5hr Flying Trapeze class at 12.30pm. 9.30am – 2pm, includes a full 1.5hr Flying Trapeze class at 12.30pm. 2pm – 6pm, includes a full 1.5hr Flying Trapeze class at 4.30pm. Note: If for some reason the Flying Trapeze class included in your program is already fully booked, you will be moved to another class time of your choosing. New healthy and delicious Kids Lunch Boxes are available during the school holidays. They are homemade by our chefs and are nut free. A completely vegan lunch box filled with pesto pasta, veggie sticks, cheese bun, banana bread and a freshly squeezed juice. You can make your selection at the checkout.